When job seekers get the call or email letting them know they've been selected for a job interview, it can be an exciting feeling. This kind of meeting gives candidates the ability to really show off how personable and professional they can be while conveying their expertise and generally trying to make the best possible impression. Upon walking into an interview, it's natural for a would-be hire to get a little bit nervous, according to Entrepreneur magazine. To that end, it's important to try to avoid seeing the hiring manager as some emotionless arbiter of whether they get the job, and instead see them as a regular person. Often, they will have something in their office that gives some hint at their personality - pictures of kids, souvenirs from their college sports team, etc. - that an interviewee can ask about before the discussion formally begins. That can help get an interviewer on your side as soon as possible, making the rest of the conversation go much more smoothly, the report said. "It's about finding common ground in a way that is not inauthentic to you," Lauren Rivera, a researcher at the Kellogg School of Management, told the publication. Surprising though it may be, a good handshake is still seen as key to being immediately impressive to a hiring manager, potential coworkers and others an interviewee might meet when they show up to the office, Entrepreneur noted. With that in mind, a good, firm grip may have plenty to do with getting the job - so it's important to practice a good handshake with a friend or family member to ensure a job seeker can get it right and in a way that feels natural. A strong handshake conveys confidence, and that alone can go a long way toward impressing a hiring manager. One of the most impressive things a job candidate can do during an interview is show off their knowledge of the company, its operations and prevailing culture, according to Forbes. That may take a little bit of research, via social networks, talking to people you know who work at the firm, on the company's website itself and so on. However, while that might seem to be overkill in some cases, a better understanding of how a company works internally can help applicants come up with better answers to managers' questions. 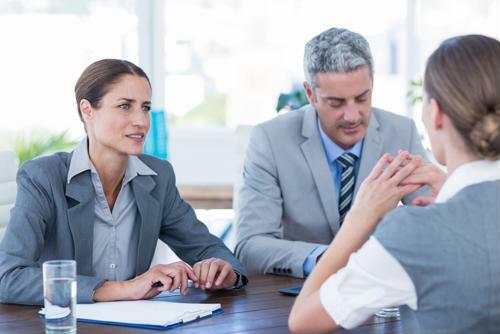 There is, of course, no shortage of knowledge on the most effective ways in which interviewees can put their best foot forward, according to TIME Money. No one piece of advice is going to be effective for everyone, so checking out some of the knowledge online, in books and elsewhere can help interviewees discover techniques to impress that they might not have considered before. Generally speaking, the more work job seekers put into preparing for an interview, the better that meeting is likely to go.